Cheektowaga, N.Y., needed to ensure departmental efficiency and optimal workloads. The best solution was wireless GPS devices capable of tracking vehicle locations and analyzing driver routes, stops and drive time. With a 70-person department responsible for the maintenance of 400 roads, the highway managers of Cheektowaga, N.Y., needed a way to ensure departmental efficiency and optimal workload and workforce management. They decided the best solution to be a wireless GPS device that can track employee vehicles’ locations and analyze driver routes, stops and drive time. With added scrutiny placed on public employees, Deputy Highway Superintendent Mike Lumadue has often received phone calls from Cheektowaga residents stating that a maintenance vehicle was driving too fast for inclement weather conditions, or that employees were not actively working while on location. Highway superintendents needed a solution that could better determine the validity of those claims to prevent unnecessary caller response. After reviewing several mobile workforce management solutions, Cheektowaga highway managers decided to implement wireless GPS devices to view vehicle locations, analyze driver routes, stops and drive time as well as improve fleet productivity. 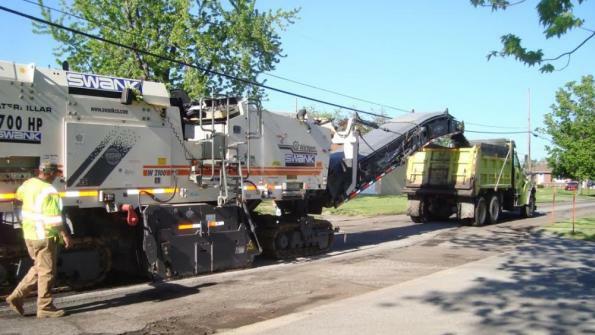 After analyzing the highway department’s fleet, Cheektowaga highway managers installed devices in 60 vehicles, prioritizing those that spent the most time in the field. “The device is hardwired, so when the vehicle starts, so does [it]. This function lets us better monitor those 60 vehicles when they’re on the road. So if we have an emergency, we can look up who’s in the area and can respond most quickly; then we dispatch that person for the job,” Lamadue said in a statement. According to Lamadue, the town has three key roadway maintenance activities throughout the year: snow removal, salt application and leaf pickup. With the devices, geofences, or predefined sets of boundaries, were able to be implemented for each of those zones and routes. With geofences, highway maintenance crews can assign specific geographic areas to field employees, and monitor which vehicles are in those areas. When a user enters or exits a geo-fence, the device receives a generated notification.